Terrorists fire rockets from Hamas-ruled Gaza Strip, hit Israeli town in western Negev. Terrorists operating in the Hamas-ruled Gaza Strip fired a pair of rockets into Israeli territory Sunday evening. One of the projectiles hit a town near the Gaza border in the western Negev. 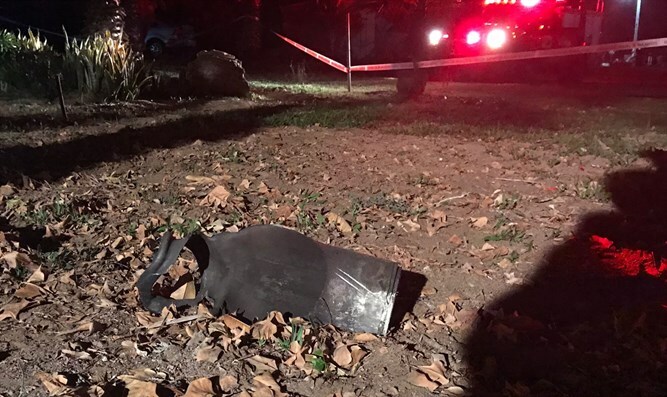 The rocket reportedly exploded next to a home in the community, but caused no injuries. The building was lightly damaged, an IDF spokesperson said. A spokesperson from the Hof Ashkelon (Ashkelon Coast) regional council released a statement shortly after the rocket attack. Last week, early in the morning Thursday morning, Israeli Air Force aircraft struck three Hamas targets inside the Gaza Strip in retaliation for previous rocket attacks on Israel.